The full method was applied in the Netherlands for assessing the representativeness of results derived from this case study. 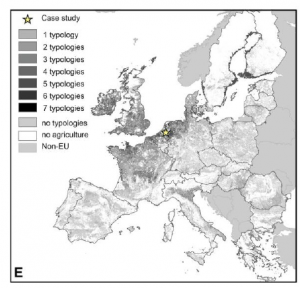 This indicated that the Kromme Rijn regions was representative for the large parts of northwestern Europe. Here is the template used for collecting experts based assessment filled with stakeholders answers from the Kromme Rijn area. Data used for assessing the Kromme Rijn area representativeness can be downloaded here. However, results are meaningful in the frame of the complete study report including the 5 case studies sites. Find it here.